We provided funds to teach young girls skills like sewing, cooking, knitting, baking and soap-making so they may be better prepared to support themselves when they leave the Center. 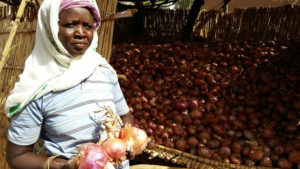 A gardening site, this center has produced 6 hectares of onions, corn and tomatoes. Their 2015 onion harvest was near 100 tons. Gardeners use this new, supplemental source of income to increase their independence, assure a healthier diet for their families and pay the fees to send their children to school. Twenty years ago, Clementine Tapsobah was struck by a double tragedy. First her son died unexpectedly. Then Clementine was banished from the community. Why? Her neighbors insisted the boy had died because Clementine practiced witchcraft. Since that day, Clementine has taken refuge at Centre Delwendé, a Catholic community center based in Ouagadougou, Burkina Faso. With support from Catholic Relief Services, the center is aiding more than 250 women who were chased away from their homes and families because of false accusations of witchcraft. For women like Clementine, the center represents a new beginning. “We create activities for the women, such as cotton spinning, farming vegetables and preparing meals,” says Sister Hortência Filipe Sizalande, the center director. However, the vegetables that were available—cabbage, onions and such—are not enough to feed all the women every day. So CRS has been supporting the center through our Helping Hands program. Volunteers in the United States package nutritious meals for the center in Ouagadougou and other places around the world where food is scarce. 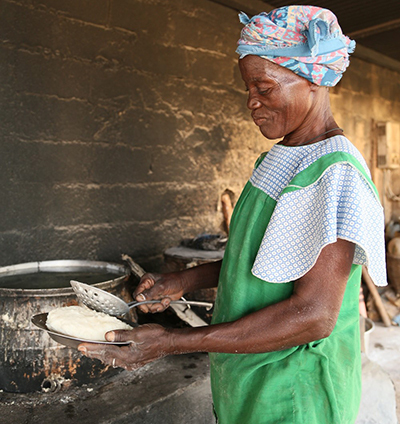 Centre Delwendé means “Rely on God.” This is how Clementine has remained strong. “Through my faith and community support, and the sisters at the center, all the difficulties we used to face, we’ve overcome by the grace of God,” she says. 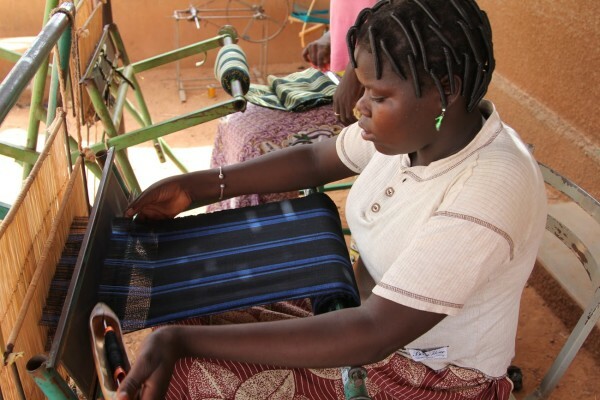 For 50 years, CRS has also supported public education in Burkina Faso. With education, communities are beginning to understand the real causes of childhood illnesses and treatments. 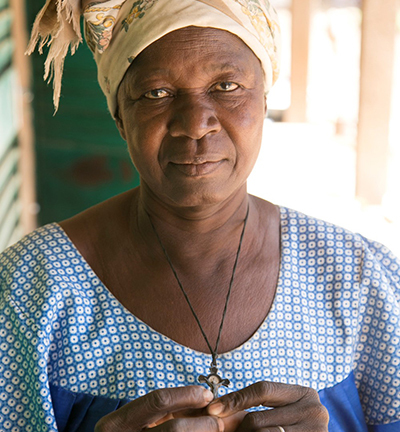 “Through awareness raising, there is a small change in people’s mentality [about witchcraft], and the number of women arriving here has decreased,” says Sister Hortência. In 2014, 13 people left the center and returned to their homes. In the meantime, CRS Helping Hands continues to provide a lifeline for women recovering from trauma.